It is that time again. After twenty weeks of celebrating the most amazing and memorable videogame moments of all time, the second “season” finale of The Memory Card has finally arrived. Not to worry, though: like last time, this feature will be back before you know it. I have actually known for weeks what videogame moment I was going to use for this particular installment. Since this is the season finale, I wanted to focus on a moment that was extra dramatic and emotional -- one that truly affected me in unexpected ways. After playing through Lost Odyssey for the Xbox 360, the choice was simple. Based on the amount of tears produced, I can confidently say that this moment is easily one of the saddest and most emotional ever experienced in a videogame. 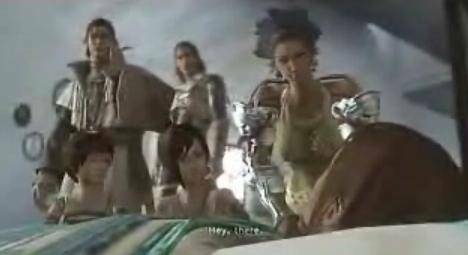 This is a very recent game, so I beg of you: If you have not played Lost Odyssey and plan on picking it up, please do not continue on. There is an immense spoiler after the jump and I do not want to be the guy who ruins this incredibly moving moment. Don’t say I didn’t warn you. 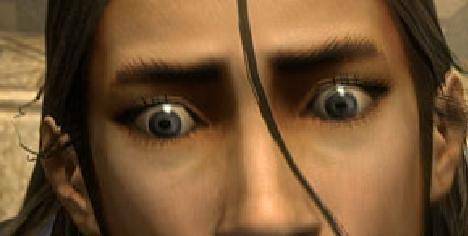 The best thing I can say about Lost Odyssey is that it feels exactly like a classic Super Nintendo RPG, but with fancy new graphics. As a guy who adores role-playing games from that fine era in gaming, this is the highest compliment and one of the many reasons Lost Odyssey is such a masterpiece. 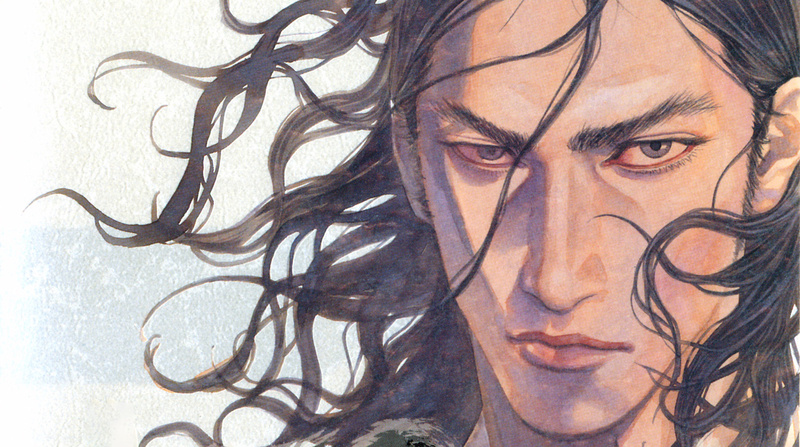 Lost Odyssey tells the story of Kaim Argonar, an immortal and lieutenant of the Uhran army. Teaming up with a party of allies, Kaim thrives to stop the world-dominating plans of Gongora, Uhra’s evil magic advisor and fellow immortal. 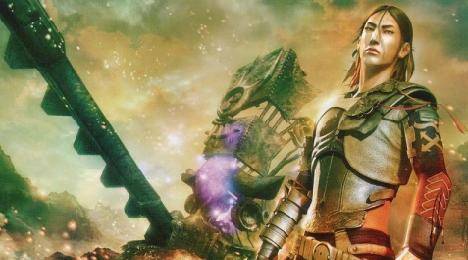 Not only does Gongora hope to destroy the world using its magical energy, he is single-handedly responsible for wiping out the memories of Kaim and his immortal companions. 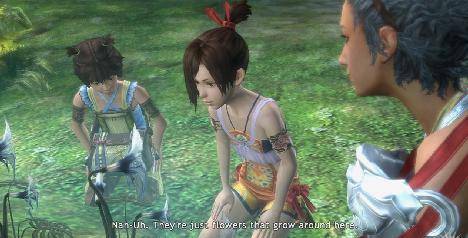 Recovering these memories is the heart Lost Odyssey. Being an immortal, Kaim has already lived for 1000 years and seen many of his family and friends pass away. 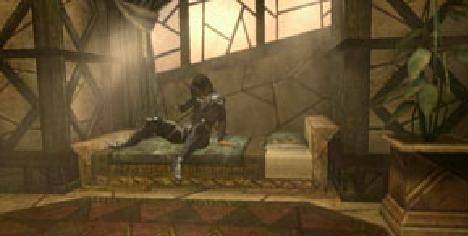 Throughout Lost Odyssey, the player is presented with many different flashbacks as Kaim starts to regain some of his lost memories. Some of these are presented as text-filled dreams, but others are told in the traditional way: images and moments flashing on the screen. 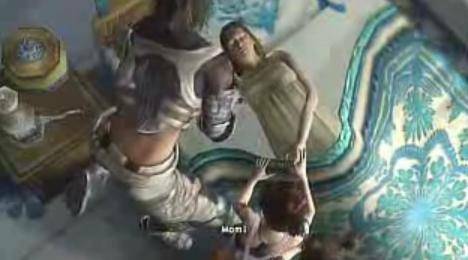 One of the most prevalent flashbacks in the beginning of the game is one of Kaim sitting on a dramatic cliffside with his immortal wife Sarah and mortal daughter Lirum. During the flashback, as if for no reason at all, Lirum stands up, walks away from her parents, and heads toward the edge of the towering cliff. Once Kaim notices his daughter doing this, he runs to stop her. Sadly, he is too late. Right before Kaim grabs Lirum her small, innocent body jumps off the precipice and crashes into the rocky surf below. Kaim and Sarah both watch in horror as their little girl is lost forever in the turbulent sea. This vivid flashback pops up in Kaim’s head many times at the beginning of the game and haunts him every time he stops to catch a breath. As the game continues, Kaim’s traveling party (made up of Kaim, the immortal Seth, and the mortal Jansen) eventually make their way to the ruined outskirts of a city called Numara. The outskirts are filled with destroyed buildings and an overwhelming feeling of desolation. Next to a patch of beautiful blooming flowers, Kaim and friends meet up with two young children, Cooke and Mack. The sassy twins are collecting flowers for their very sick mother -- the flowers being the only things that are keeping their mom alive. After saving the children from a violent confrontation by Numara troops, Kaim, Seth, and Jansen follow the two back to their home. 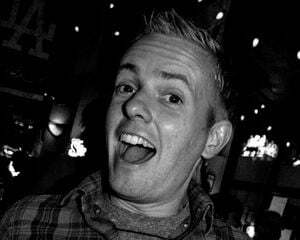 It is here when the next Memory Card moment occurs: in memoriam. When the group enters the house, Cooke and Mack immediately run up to their sleeping mother and tell her about the new friends they made. Barely possessing enough strength to even move, their mother smiles as Cooke and Mack lead Kaim and the others to the side of her bed. As the frail woman begins to ask for the flowers, she catches a glimpse of Kaim. Kaim looks around, confused as to why this woman is reaching out to him. As Kaim’s eyes finally meet hers, his face goes pale. 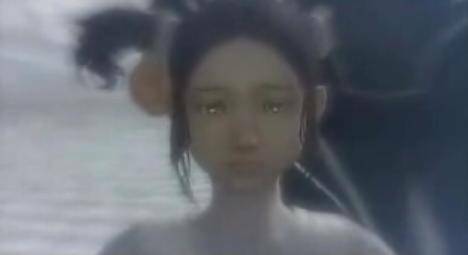 At this point, the game shows the same familiar flashback of Kaim and Sarah’s daughter inexplicitly throwing herself off the side of the seaside cliff. Kaim realizes the connection in an instant. The woman sitting on the bed before him is his daughter Lirum. The same daughter he thought he had lost to the sea all those years ago. Even though she is fully grown and older than her own father (immortals do not age), Kaim embraces his daughter as if she were still a child. Tears stream from Lirum’s eyes as the two are finally reunited after all these years. As his hand touches hers, Kaim flashes back once again to the fateful day his daughter jumped from the high cliff. Seeing his daughter again fills in all the missing gaps in his slowly recovering memory. In his flashback, Kaim looks to the side of the cliff and notices a shadowy figure watching over them. Upon further investigation, the shadowy figure turns out to be Gongora, the man responsible for wiping out Kaim’s memory in the first place. It was Gongora that hypnotized Lirum and forced her to throw herself off the cliff. Although the fall didn’t kill her, it was Gongora that tried to murder Kaim’s innocent daughter! Kaim’s body fills with rage. Before having a chance to release his anger, Lirum leans forward and takes her father’s hand. She tells Kaim how much she missed him and that she doesn’t have that much time left. These hushed words soothe Kaim’s anger and make him realize the only thing that is important at the moment: helping his poor, sick daughter. After asking him about her missing mother Sarah, Lirum asks Kaim to take care of her children -- his grandchildren. At the sound of these words, Cooke and Mack lunge forward and grab their mother’s hand, pleading for her not to leave them. A tear cascades down Kaim’s cheek as he quietly nods. With this final farewell, Lirum dies in Kaim’s arms. As Seth and Jansen watch helplessly from the back of the room, Cooke and Mack begin to sob uncontrollably, screaming for their mother to wake up and return to them. Tears begin to stream down Kaim’s face. For the second time in his eternal life, Kaim mourns the loss of his beloved daughter. 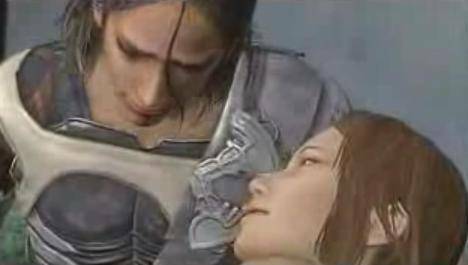 I have cried in a few videogames before -- I am not ashamed to admit it -- but never in my life has a videogame made me openly sob as much as I did during this scene in Lost Odyssey. Technically, there is nothing strikingly unique about this moment: The story twist -- while incredibly moving -- is not that different from other Japanese RPGs; the voice acting -- while exceptional -- is used in many other games; and the music -- although beautiful -- is similar to other games that use full orchestral soundtracks. 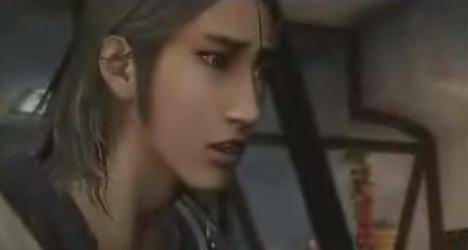 The reason all of these traditional emotional trappings work so well in Lost Odyssey is because they are expertly executed. Watch the video again and notice the way each of the character’s move. Instead of just statically standing around as the scene plays out, the characters react as they would had the situation been set in real life. Notice the way the children fidget and jump around as Kaim talks to Lirum. As kids, their nervous and jittery reaction should be different than the adults. This attention to detail is what makes the scene so special! In another seemingly minor, but brilliant, creative move: At the end of the scene, as Kaim, Cooke, and Mack are losing their minds with sadness, observe the way Seth reacts. She paces back and forth, looking up at the ceiling. Even though no words are spoken, her body language expresses an equal feeling of devastation and confusion. She feels for her friends, but doesn’t know how to handle the strong emotions. 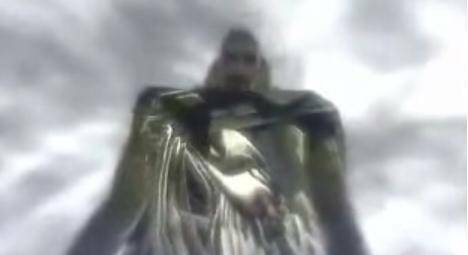 It is hard to defend and dissect a scene like this to the outside viewer -- it really does appear to be an overdramatic, heavy-handed sequence from a long line of overwrought Japanese RPG. There is something about it, though, that helps it stand out from all the emotionally similar scenes that have come before it. Of course a lot of it has to do with the dramatic reveal coupled with the tragic death scene just moments later, but if this subject matter was handled by less creatively skilled hands in another game it would most likely fall apart. The designers and directors of Lost Odyssey really use their immense talent to create a scene that rivals any movie I have ever watched in pure emotional power. The way the music is perfectly, subtly integrated into the sequence; the expertly edited use of flashbacks; the minimal, yet effective dialogue. All of these complicated creative aspects combine to form a perfect scene that genuinely tugs on the heart strings of the player. To accomplish something like this in a videogame is a truly remarkable feat. Lirum’s death is, hands down, the most emotional moment I have ever witnessed in a videogame. Even watching it again now -- out of context from the entire game experience -- it still makes my eyes water. Moments like this are the reason I absolutely love playing videogames, a medium I genuinely think has the power to elicit emotions unlike any other form of art. 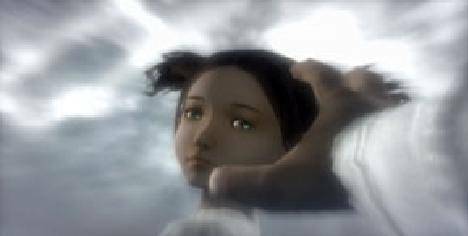 Like any extraordinary piece of art, this moment in Lost Odyssey is something I will treasure and remember for the rest of my life.